At a recent press conference, President Gordon B. Hinckley was asked the question, "What is the greatest problem that your church has today?" He answered that it is rapid growth. It has been nearly 172 years since The Church of Jesus Christ of Latter-day Saints was organized. Why does the Church continue to flourish and grow so dramatically? What distinguishes it from all other churches? In response, we might say that there are several characteristics peculiar to our faith. These include the organization itself, with prophets and apostles, who Paul said are the foundation of the Church (see Eph. 2:20); the Quorums of the Seventy; lay priesthood leadership; the missionary system; the welfare program; temples; the family history effort; and many other distinguishing features. What Makes Our Religion Different? There is, however, another reason for our growth, one that transcends all others. Of an interview in 1839 between the Prophet Joseph Smith and Martin Van Buren, who was then president of the United States, the following was recorded: "In our interview with the President, he interrogated us wherein we differed in our religion from the other religions of the day. Brother Joseph said we differed in mode of baptism, and the gift of the Holy Ghost by the laying on of hands. We considered that all other considerations were contained in the gift of the Holy Ghost" (History of the Church, 4:42). One of the reasons the Prophet's response was so inspired is that the right to enjoy the marvelous gifts of the Holy Ghost is conferred upon every member of the Church soon after baptism. This is in fulfillment of the promise of the Savior: "And I will pray the Father, and he shall give you another Comforter, that he may abide with you for ever" (John 14:16). This powerful gift entitles the leaders and all worthy members of the Church to enjoy the gifts and companionship of the Holy Ghost, a member of the Godhead whose function is to inspire, reveal, and teach all things. The result of this endowment is that since the Church was organized, the leadership and members have enjoyed, and now enjoy, continuous revelation and inspiration directing them in what is right and good. Inspiration and revelation are so common, so widespread, so universal among the leaders and the members that there is a strong spiritual base underlying what is done. This can be found in the gatherings of the Church, both large and small. Why does the Church grow and flourish? It does so because of divine direction to the leaders and members. This began in our day when God the Father and Jesus Christ appeared to Joseph Smith early in the spring of 1820. However, we claim that God's inspiration is not limited to the Latter-day Saints. The First Presidency has stated: "The great religious leaders of the world such as Mohammed, Confucius, and the Reformers, as well as philosophers including Socrates, Plato, and others, received a portion of God's light. Moral truths were given to them by God to enlighten whole nations and to bring a higher level of understanding to individuals. ... We believe that God has given and will give to all peoples sufficient knowledge to help them on their way to eternal salvation" ("Statement of the First Presidency regarding God's Love for All Mankind," 15 Feb. 1978). We declare in all solemnity, however, that we know salvation in the world to come is dependent upon accepting the gospel of Jesus Christ as taught in The Church of Jesus Christ of Latter-day Saints. One factor in salvation is personal revelation. Joseph Smith said: "No man can receive the Holy Ghost without receiving revelations. The Holy Ghost is a revelator" (History of the Church, 6:58). Latter-day Saints, having received the gift of the Holy Ghost by the laying on of hands, are entitled to personal inspiration in the small events of life as well as when they are confronted with the giant Goliaths of life. If worthy, we are entitled to receive revelations for ourselves, parents for their children, and members of the Church in their callings. But the right of revelation for others does not extend beyond our own stewardship. David, the youngest son of Jesse, a mere shepherd boy, volunteered to fight the giant Goliath. David and all of the army of Israel were insulted by the humiliating taunts of this formidable giant, but David knew that inspiration had brought him to save Israel. King Saul was so impressed with the faith and determination of this young boy that he appointed him to fight Goliath. Goliath made sport of David's youth and lack of armament. David responded that he came in the name of the Lord of Hosts, the God of the armies of Israel, and that the whole assembly would learn that the Lord does not save by the sword and the spear, "for the battle is the Lord's" (1 Sam. 17:47). Then David threw a rock from his sling with such force and accuracy that the stone sank deep into the forehead of Goliath. Goliath fell to the earth a dying man, and the Philistines fled in fear. What has happened to David's living God? It is the greatest insult to reason to suggest that God, who spoke so freely to the prophets of the Old Testament, now stands mute, uncommunicative, and silent. We may well ask, "Does God love us less than those led by the ancient prophets? Do we need His guidance and instruction less? Reason suggests that this cannot be. Does He not care? Has He lost His voice? Has He gone on a permanent vacation? Does He sleep?" The unreasonableness of each of these proposals is self-evident. "Then said Jesus unto the twelve, Will ye also go away? "Then Simon Peter answered him, Lord, to whom shall we go? thou hast the words of eternal life. "And we believe and are sure that thou art that Christ, the Son of the living God" (John 6:66-69). We acknowledge and testify that the same witness of Christ's divinity as received by Peter is also our sacred knowledge. Personal revelation comes as a testimony of truth and as guidance in spiritual and temporal matters. Latter-day Saints know that the promptings of the Spirit may be received upon all facets of life, including daily, ongoing decisions. Without seeking the inspiration of the Almighty God, how could anyone think of making an important decision such as "Who is to be my companion?" "What is my work to be?" "Where will I live?" "How will I live?" "I did as he told me. It took me two years to gather up everybody, and I brought up the rear with a company (there were about one hundred of them). We arrived at Pittsburgh one day at sundown. We did not want to stay there, so I went to the first steamboat that was going to leave. I saw the captain and engaged passage for us on that steamer. I had only just done so when the spirit said to me, and that, too, very strongly, `Don't go aboard that steamer, nor your company.' Of course, I went and spoke to the captain, and told him I had made up my mind to wait. "Well, that ship started, and had only got five miles down the river when it took fire, and three hundred persons were burned to death or drowned. If I had not obeyed that spirit, and had gone on that steamer with the rest of the company, you can see what the result would have been" (Discourses of Wilford Woodruff, sel. G. Homer Durham , 294-95). How Is Personal Revelation Received? Some guidelines and rules are necessary if one is to be the recipient of revelation and inspiration. They include (1) to try honestly and sincerely to keep God's commandments, (2) to be spiritually attuned as a receiver of a divine message, (3) to ask God in humble, fervent prayer, and (4) to seek answers with unwavering faith. I testify that inspiration can be the spring for every person's hope, guidance, and strength. It is one of the magnified treasures of life. It involves coming to the infinite knowledge of God. How do revelation and inspiration operate? Each person has a built- in "receiving set" which, when fine-tuned, can be a receiver of divine communication. Said Job, "There is a spirit in man: and ... the Almighty giveth them understanding" (Job 32:8). If needed, it is possible, like Nephi, to be led completely by the Spirit, "not knowing beforehand" what should be done (see 1 Ne. 4:6). How is inspiration received? 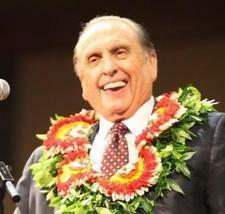 Enos stated, "While I was thus struggling in the spirit, behold, the voice of the Lord came into my mind" (Enos 1:10). One does not necessarily hear an audible voice. The spirit of revelation comes by divine confirmation. "I will tell you in your mind and in your heart, by the Holy Ghost, which shall come upon you and which shall dwell in your heart," says the Lord (D&C 8:2). How was the voice of the Lord heard by Elijah the Tishbite? It was not the "strong wind [which] rent the mountains, and brake in pieces the rocks," nor "after the wind an earthquake," nor "after the earthquake a fire." It was "a still small voice" (see 1 Kgs. 19:11-12). The inner voice of the Spirit has the capacity to whisper through and pierce all things (see D&C 85:6). The scriptures teach, "It was not a voice of thunder, neither was it a voice of a great tumultuous noise, but behold, it was a still voice of perfect mildness, as if it had been a whisper, and it did pierce even to the very soul" (Hel. 5:30). Thus the Lord, by revelation, brings inspiration into one's mind as though a voice were speaking. As a member of the Quorum of the Twelve Apostles, Elder Harold B. Lee gave this testimony: "I have a believing heart because of a simple testimony that came when I was a child, I think maybe I was around ten-- maybe eleven--years of age. I was with my father out on a farm away from our home, trying to spend the day busying myself until father was ready to go home. Over the fence from our place were some tumbledown sheds which had attracted a curious boy, adventurous as I was. I started to climb through the fence and I heard a voice as clearly as you are hearing mine--`Don't go over there!' calling me by name. I turned to look at father to see if he were talking to me, but he was way up at the other end of the field. There was no person in sight. I realized then, as a child, that there were persons beyond my sight and I had heard a voice. And when I [hear] and read these stories of the Prophet Joseph Smith, I, too, know what it means to hear a voice because I've heard from an unseen speaker" (Divine Revelation, Brigham Young University Speeches of the Year [15 Oct. 1952], 5). Although every faithful member of the Church is entitled to receive personal revelation, there is only one man upon the earth who receives revelation for the Church. President Wilford Woodruff said, "The Church of God could not live twenty-four hours without revelation" (Discourses of Wilford Woodruff, 61). A member has written: "Every day men and women come, by revelation, to understand the basic truth that God has restored his gospel and church. "Every day leaders of the Church are led by revelation to conduct the affairs of the Church, general and local, throughout the world. "Every day Latter-day Saint missionaries are impressed by the spirit of revelation to bear witness, to know what to say, to know what to do, and to teach by the spirit of revelation. "Every day the mind and will of the Lord as revealed in the standard works of the Church are illuminated in the minds of the Latter-day Saints by the spirit of revelation. "Every day faith is increased in the hearts of the faithful by evidences of revelation in their lives--in decisions regarding marriage, vocations, home concerns, business ventures, lesson preparations, danger signals--in fact, in all facets of life. "Every Latter-day Saint may know by the spirit of revelation that President Joseph Fielding Smith spoke the truth when he said: `The Lord not only blesses the men who stand at the head and hold the keys of the kingdom, but he also blesses every faithful individual with the spirit of inspiration' " (Roy W. Doxey, Walk with the Lord , 173-74; emphasis in original). Who is the prophet of the world today? I testify that the prophet upon the face of the earth today is Gordon B. Hinckley, who serves as the President of the Church. He is the only person who holds all of the keys of the kingdom of God on earth. The Church of Jesus Christ of Latter-day Saints is God's Church upon the earth, and salvation in God's presence requires acceptance of the fulness of the gospel of Jesus Christ as taught in His Church. Why has the Church grown so dramatically over more than 170 years? Why does it continue to grow at an ever-increasing pace? It does so in large measure because of divine revelation and inspiration. I pray that we may so live as to enjoy the companionship of the Holy Ghost, for the Holy Ghost, under the direction of Almighty God, has led this people and their leaders from the Church's humble beginnings to the great spiritual force it is today.